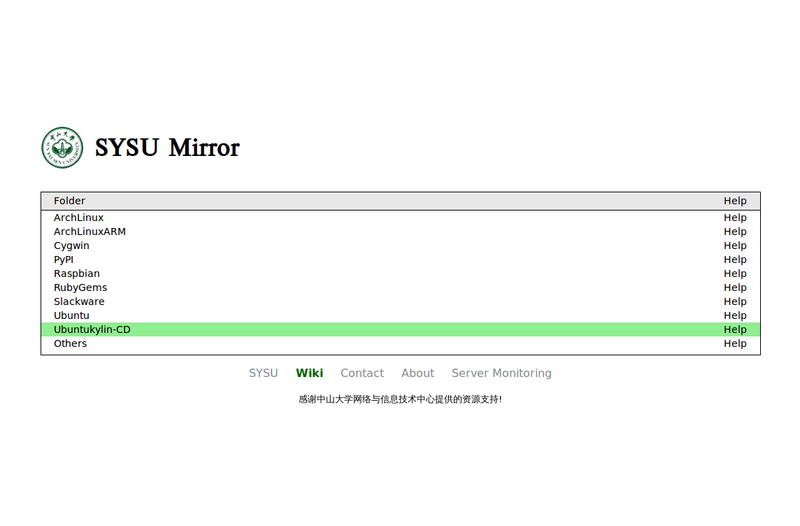 Under great support and efforts of Linux User Group in Guangzhou (GZLUG) and managers of SYSU mirror website Peishi、Jactry, SYSU mirror website has officially offer download service of Ubuntu Kylin. GZLUG and SYSU mirror website are active and productive open source community has developed economic and technical advantages and Guangzhou University Town’s unique open source culture atmosphere. Providing Ubuntu Kylin image download is Ubuntu Kylin community and Guangzhou Linux User Group (GZLUG), SYSU mirror website and it is our first cooperation. With Guangzhou Supercomputing Center built in Zhongshan University , Ubuntu Kylin will cooperate with the open source communities, especially in universities , jointly committed to make development and promotion in open source software.